Among the most charming American popular arts of the early twentieth century was the carving of fanciful, elaborate animals to grace the carousels that abounded in amusement parks across the country. This meticulously rendered coloring book celebrates the ornate beauty and character of the carousel carver's art. Colorists and carousel lovers of all ages will delight in Christy Shaffer's 30 finely drawn, ready-to-color illustrations, all based on authentic antique carvings. Each is accompanied by a caption detailing fascinating facts about the animals. 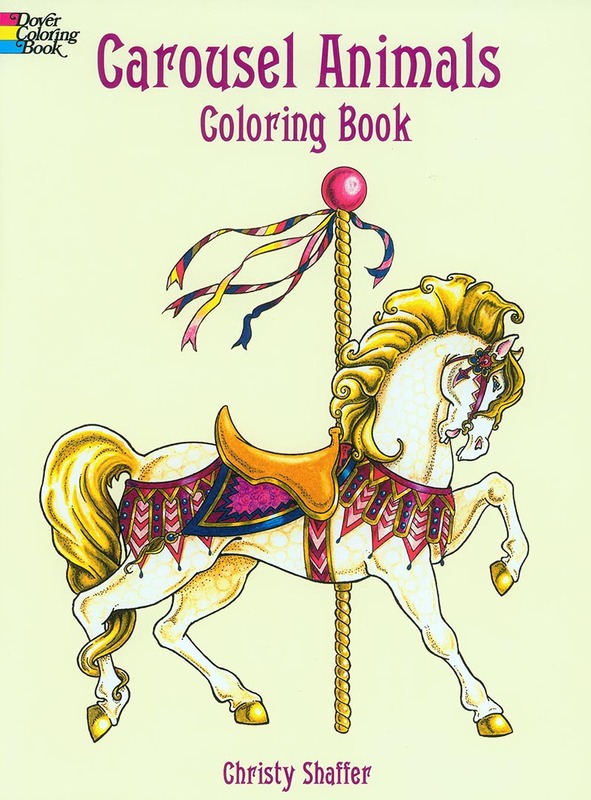 Whether you are a youngster dazzled by the magic of these carousel creatures, a nostalgia enthusiast, or a lifelong merry-go-round fan, this coloring book will treat you to a delicious taste of the past as you color and bring these enchanting animals to life.